The "Challenge Walk to Santiago for Diabetes" has already begun officially, and has done so with its first phase of preparation, three months, involving several diabetics coordinated by the Association Navarra de Diabetes (ANADI) . 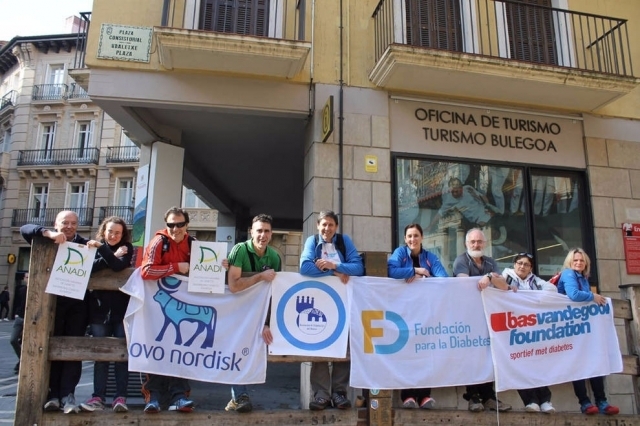 This challenge, promoted by the Bas van de Goor Foundation, will lead several diabetes patients from Navarre and the region of El Bierzo to travel in June to five stages of the French Way, between Astorga and O Cebreiro, a goal for Which are already being prepared. The goal of this challenge is to demonstrate the benefits of daily physical activity in diabetics to control their disease, as well as helping them to improve their lifestyle. We also want to raise awareness of the importance of sport in the prevention of the types of diabetes more related to sedentary life and overweight. In order to travel through these five stages of the Camino de Santiago, which will be held between June 11 and 16, the participants have begun preparing three months before, carrying out a group of three-day sessions three times a week increasing the difficulty. In this way, in addition to the necessary physical preparation, they will be taught to know more about their illness and how they can better counter it with their own means. At the moment of carrying out the five stages of the Way of Saint James, it will be monitored to carry out a study of how the Jacobean Route influences its glucose level, body weight, etc.